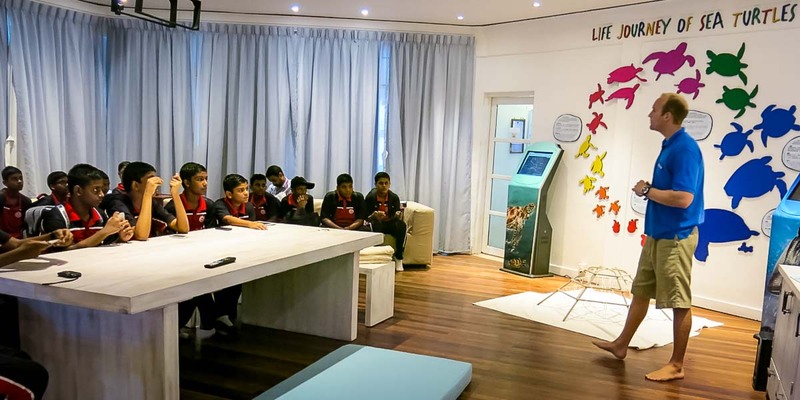 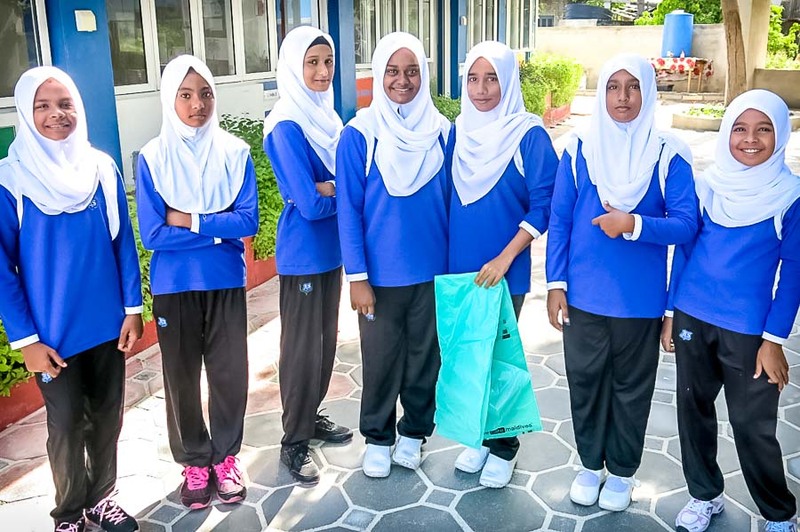 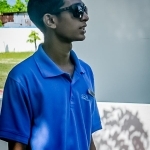 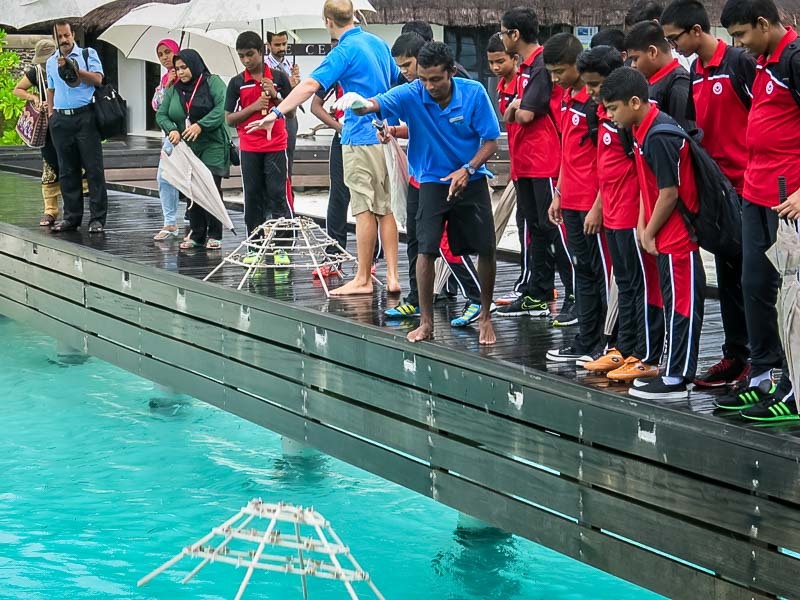 This week we were pleased to welcome 2 educational visits from students and teachers from Iskandhar School in Malé. 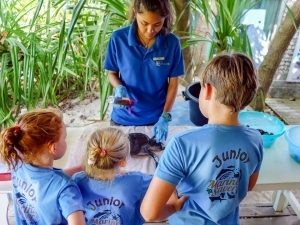 The pupils enjoyed a 20 minute presentation, giving an overview of all our projects at the Marine Discovery Centre, including Turtle Rehabilitation and Reefscaping. 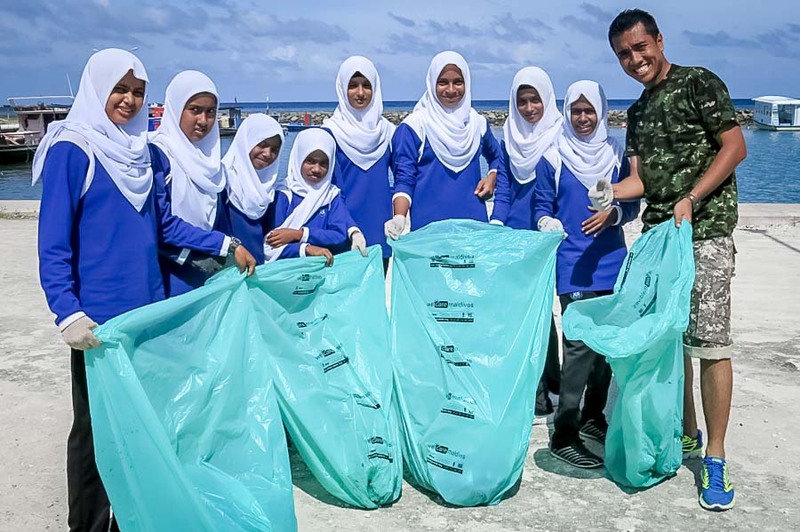 We also discussed various environmental topics relevant to the Maldives, including waste disposal, recycling and overfishing. 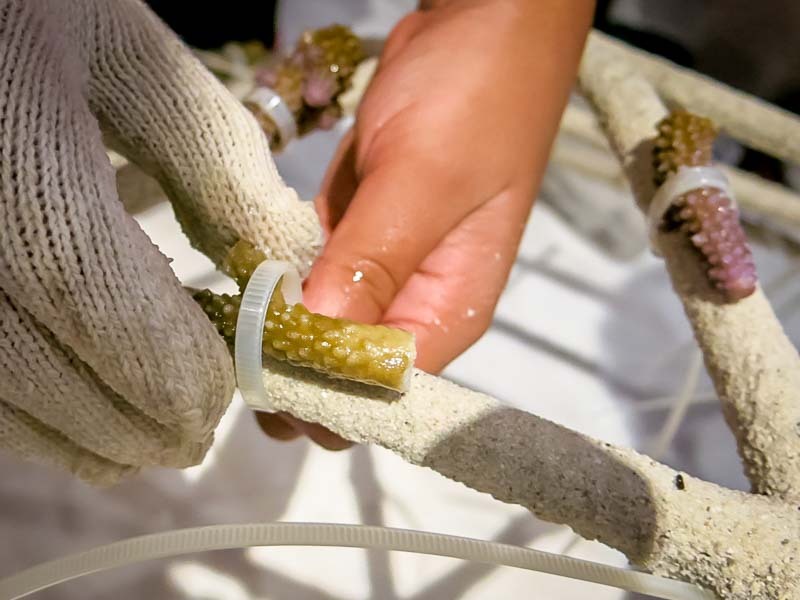 Following a tour of our facilities, everyone helped to make their own coral frame, which was then dropped into the lagoon. 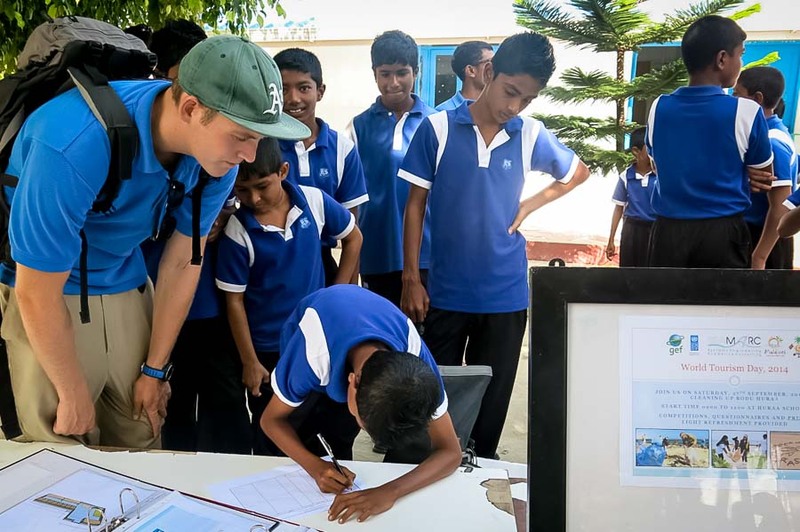 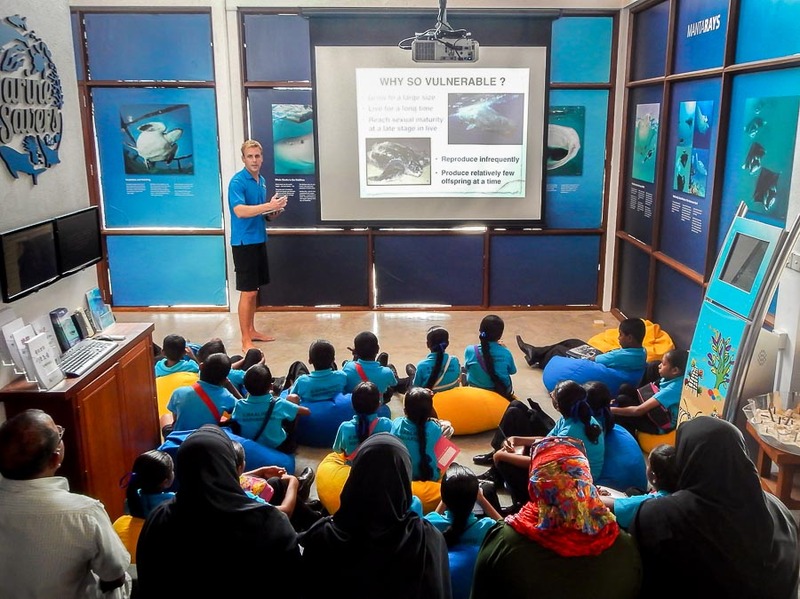 It was a pleasure to meet and work with the Iskandhar School students, and we thank everyone for coming to learn more about our marine environmental projects here at Four Seasons Resort, Kuda Huraa. 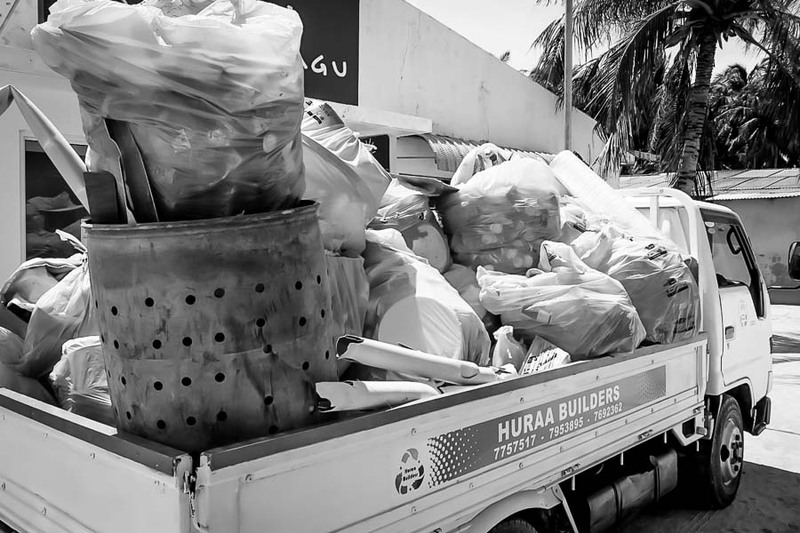 Today we held a waste collection event with the local community on Bodu Huraa island. 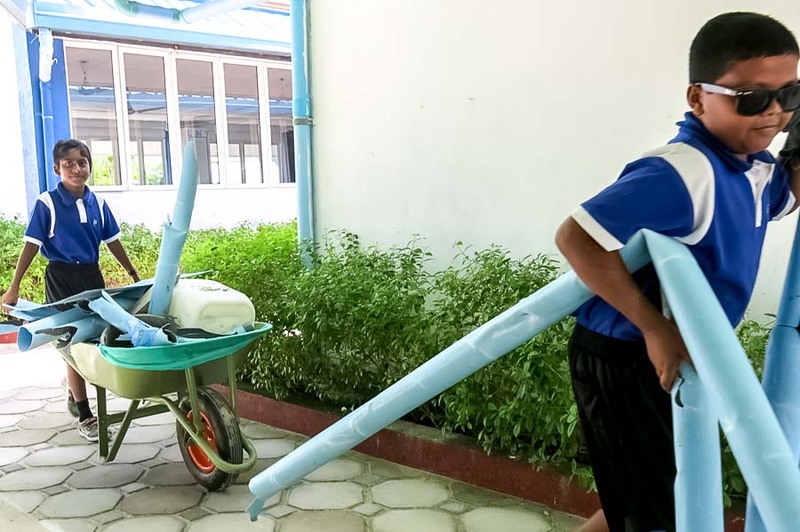 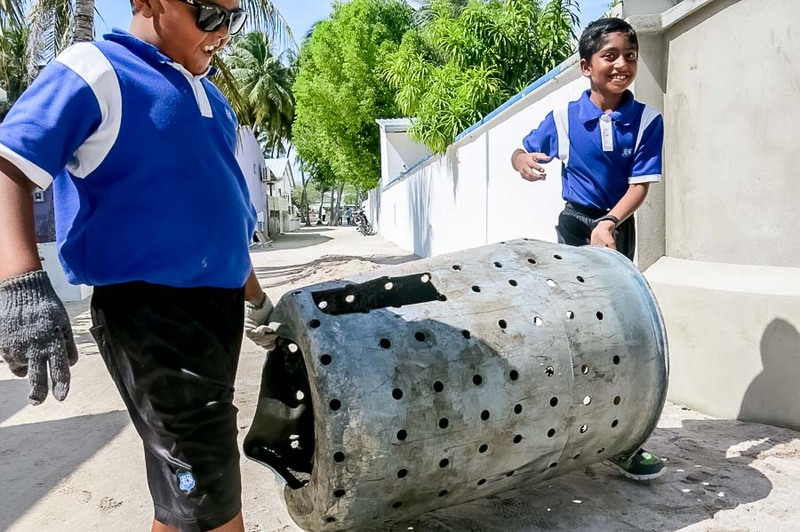 A total of 52 people joined in, with most participants coming from the local Bodu Huraa Primary School, along with some Four Seasons Kuda Huraa staff. 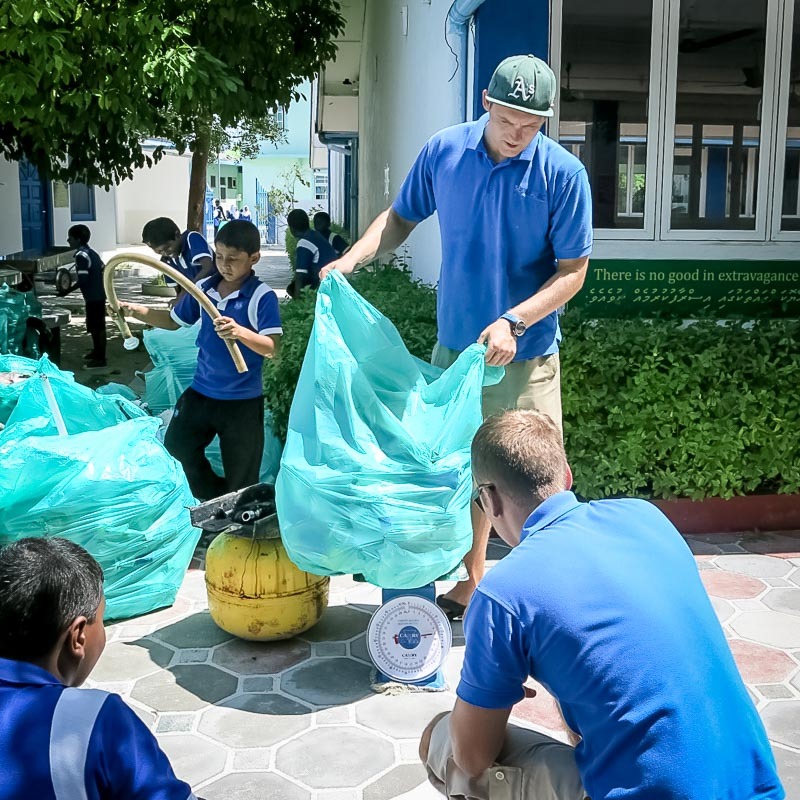 Participants were split into 6 teams, and we all had one hour to collect as much waste as possible from around the island. 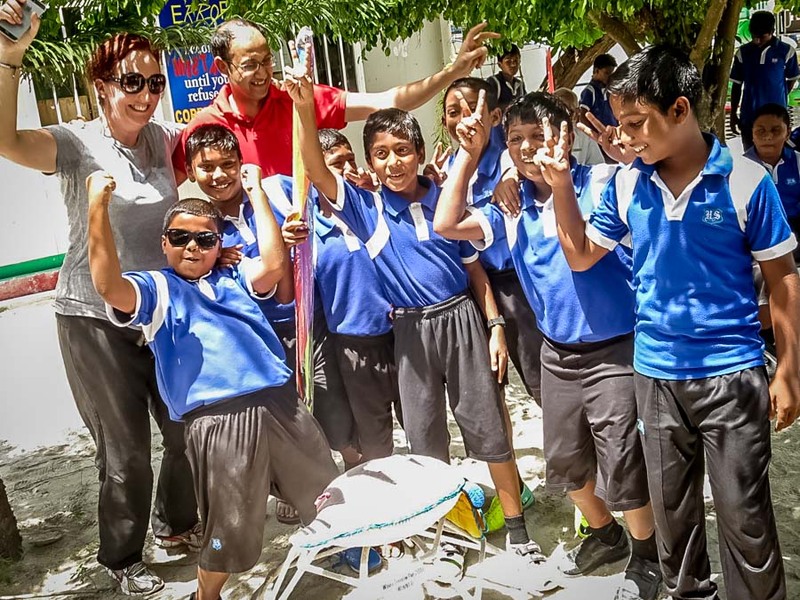 At the finish time, we returned to the school for refreshments and the big weigh-in. 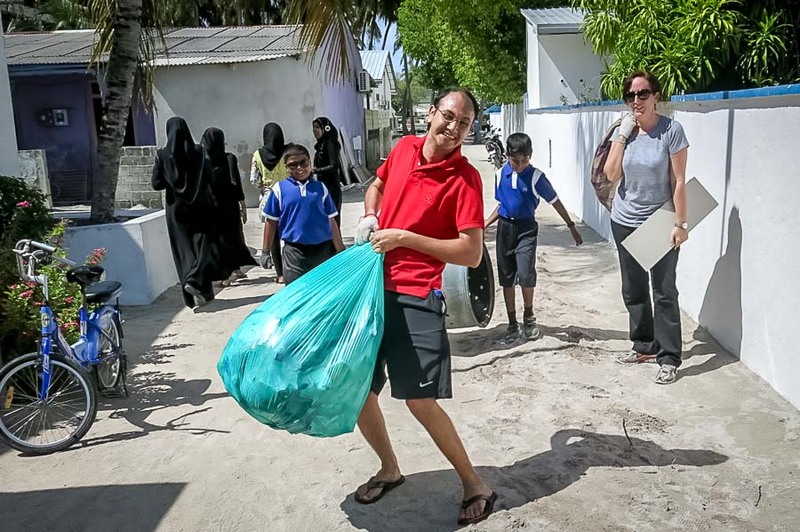 We had successfully collected a total of 1030 pounds (465kg) of waste – that’s about half a tonne ! 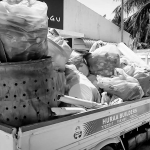 This included plastic, metal,cardboard and various discarded household and industrial items. 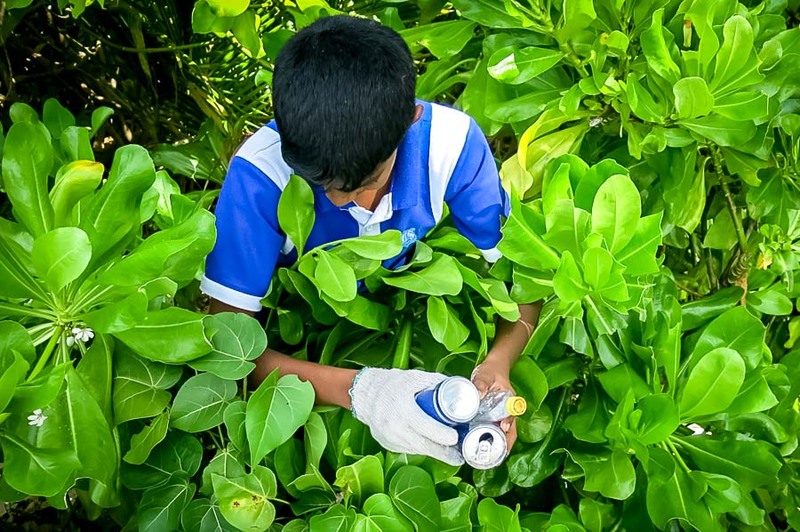 All the garbage was properly recycled or disposed of through the Four Seasons system of waste disposal. 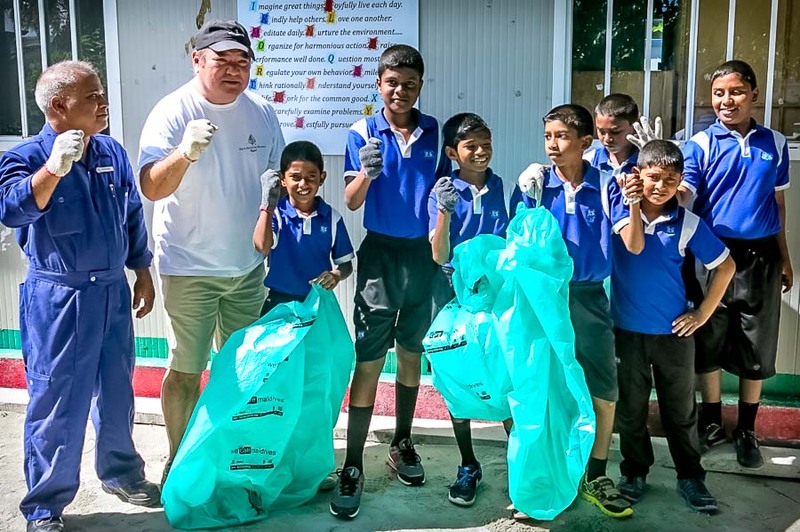 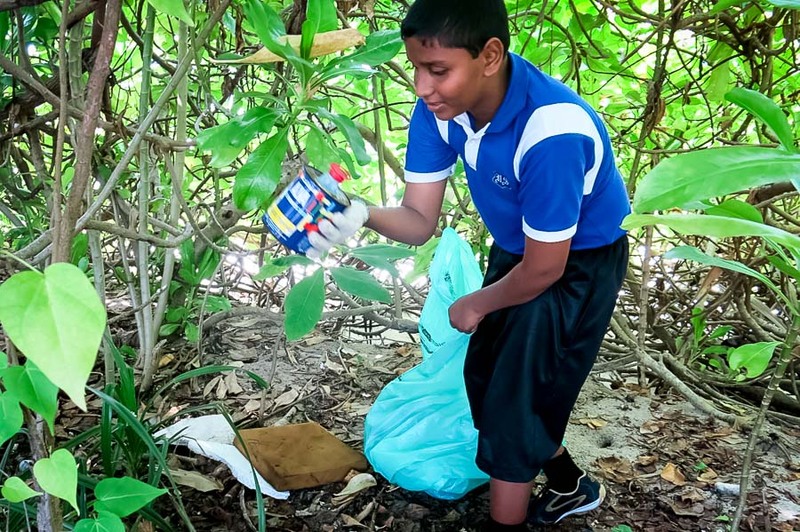 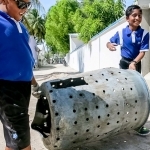 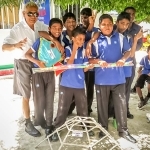 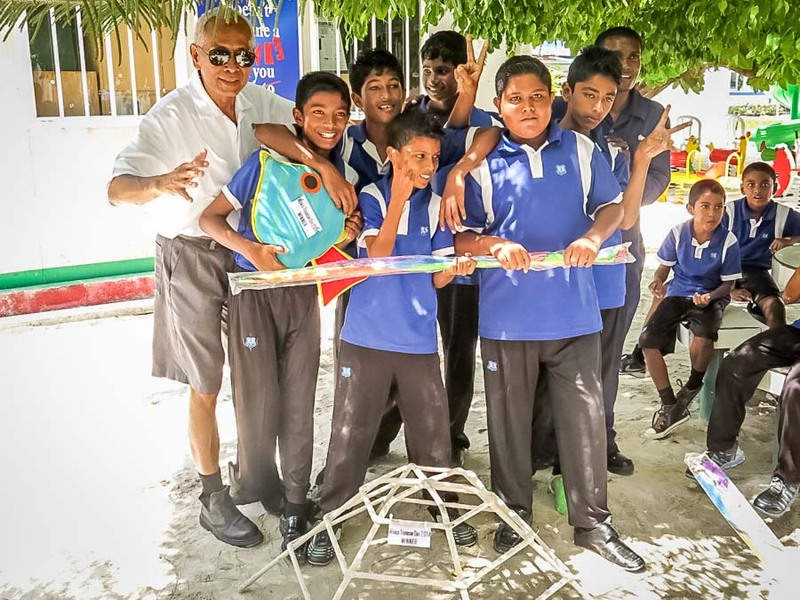 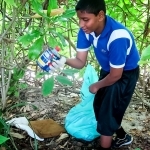 The top 3 teams that collected the most waste were then awarded a variety of prizes, including a winners plaque and a Reefscapers coral frame, to be planted somewhere in the Kuda Huraa lagoon. 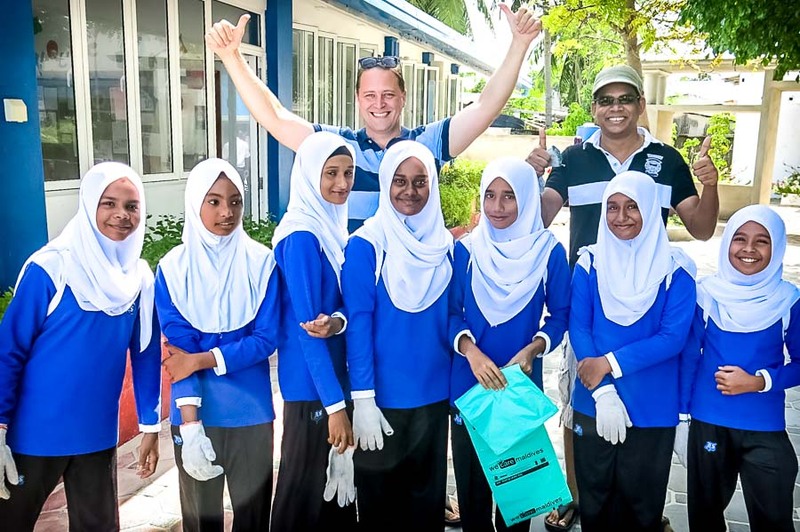 We all had a great time, and a big THANK YOU to everyone who took part ! 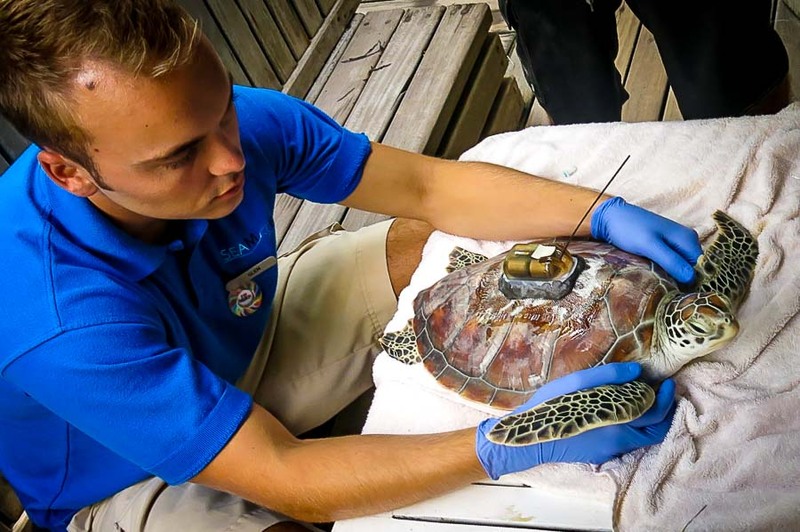 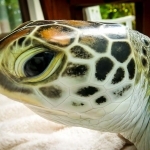 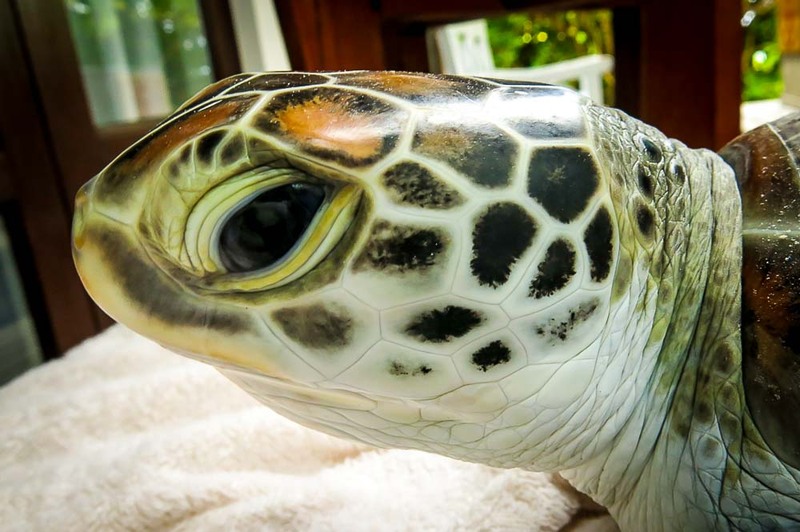 Today we released one of the green turtles from our ‘Head Start Programme’ – he had reached 1 year of age and grown to our target size of 30cm in carapace length. 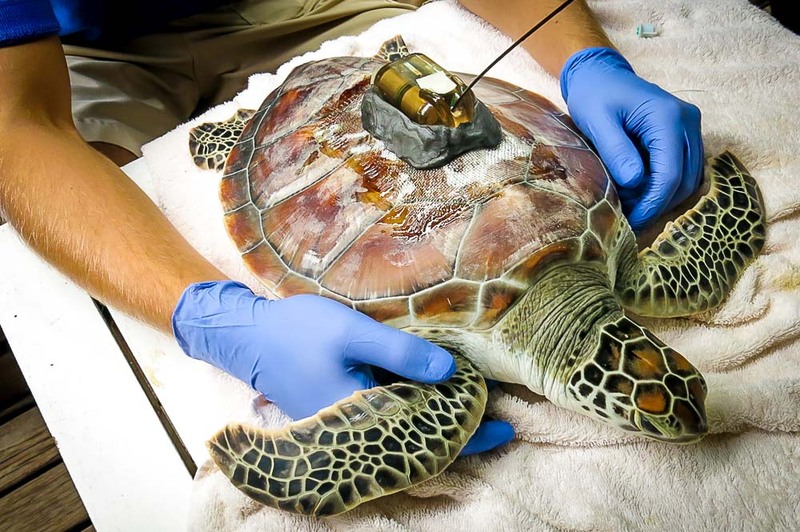 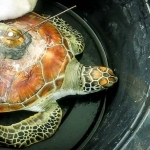 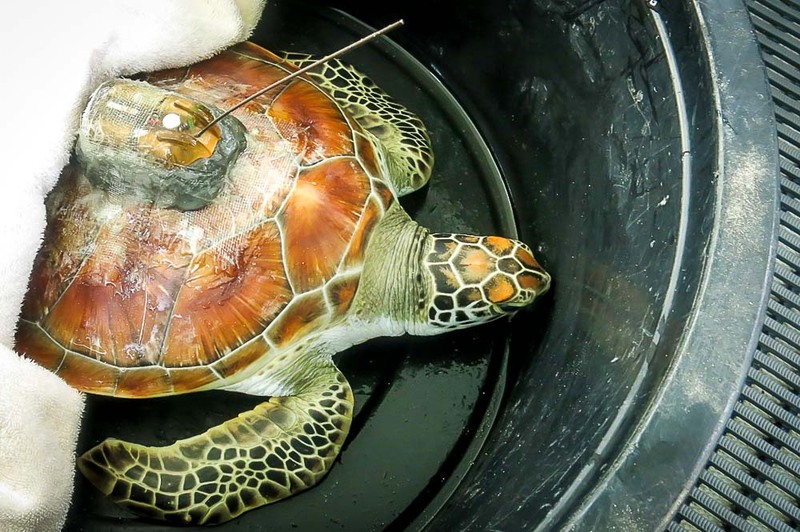 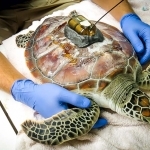 He was fitted with a satellite transmitter, which we attached to the carapace using a mixture of epoxy resin and putty. 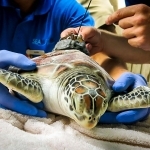 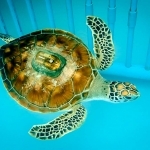 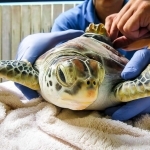 The turtle was then given time to get used to the tag on its back by being released back into the holding pool. 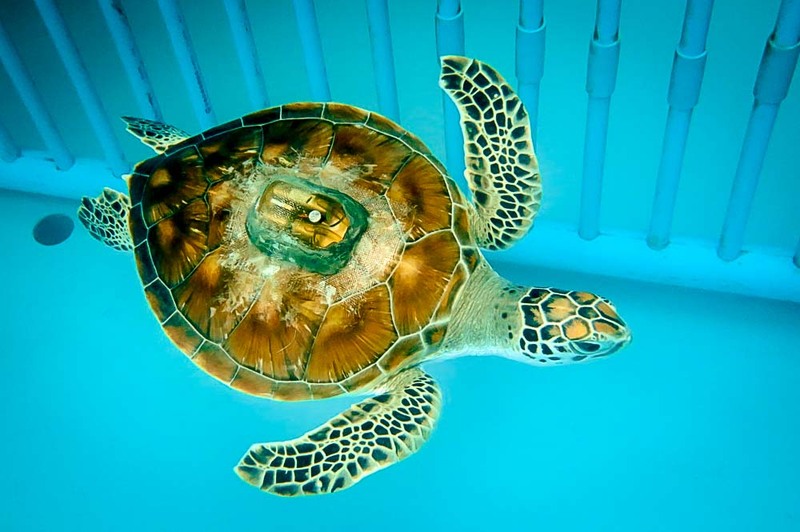 We were also able to test the tag to ensure it was functioning correctly. 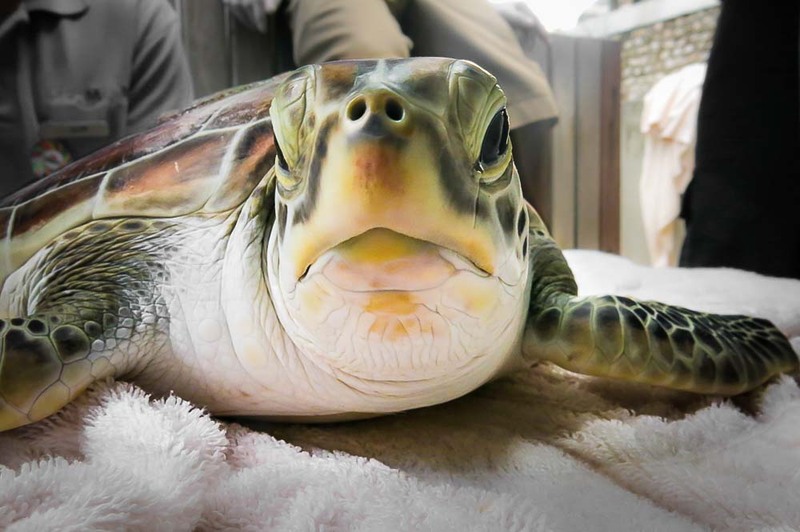 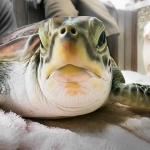 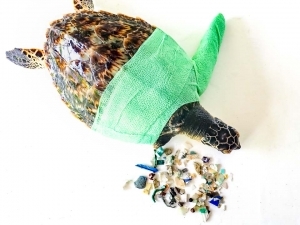 We took ‘Hendrix’ along with us on the scheduled 14:30 guest turtle safari trip, carefully wrapped in a damp towel and sitting in a large tub to minimise stress. 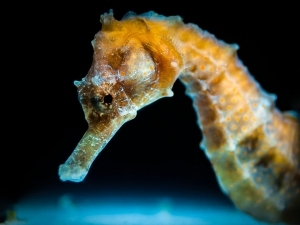 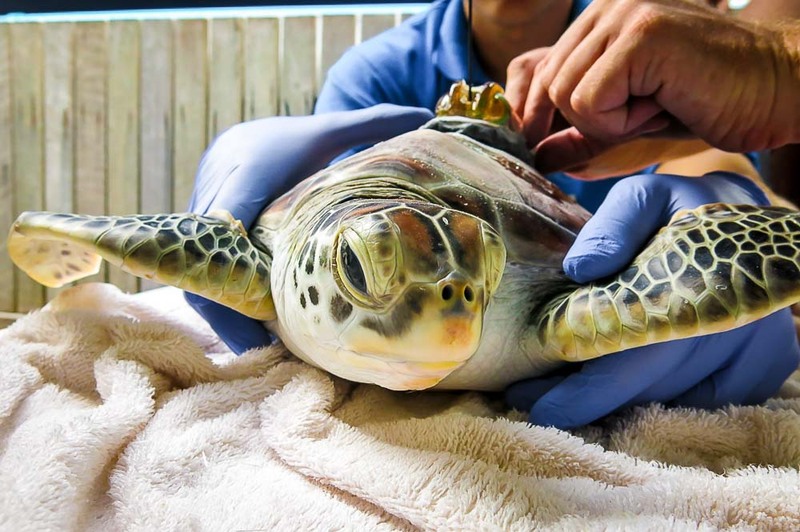 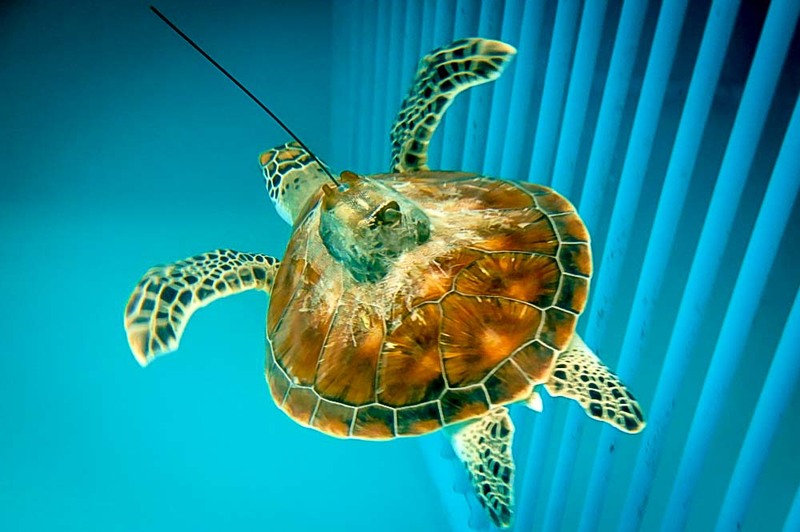 He was successfully released into the ocean, close to the ‘One Palm’ snorkel site – bon voyage, Hendrix ! 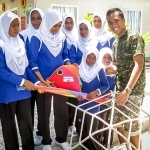 (Many thanks to our anonymous guest who kindly donated money towards this project). 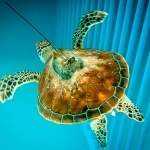 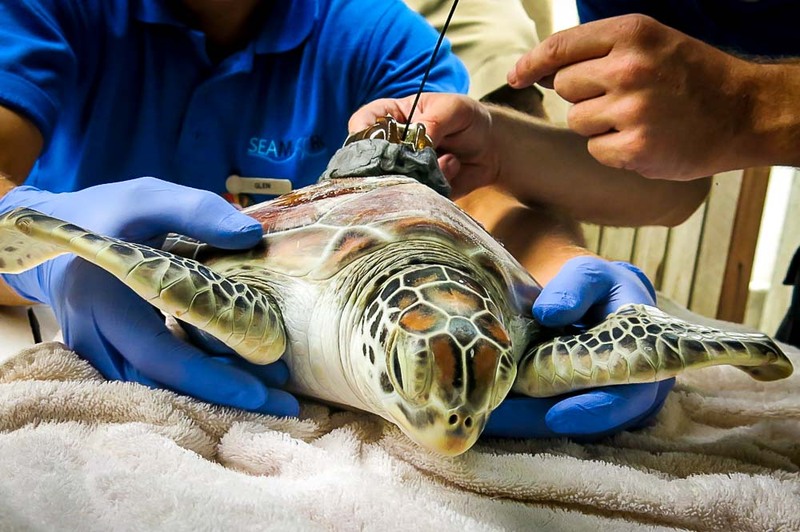 We hope to be able to track the progress of Hendrix, as he swims around the reefs, and maybe further afield around Baa Atoll and beyond … our Kuda Huraa Satellite Tracking Map page is here. 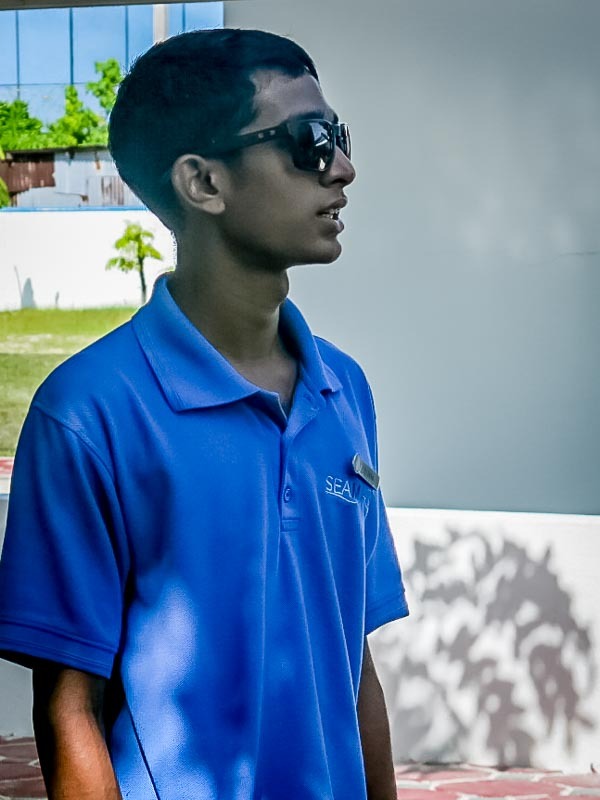 It’s a big day ! 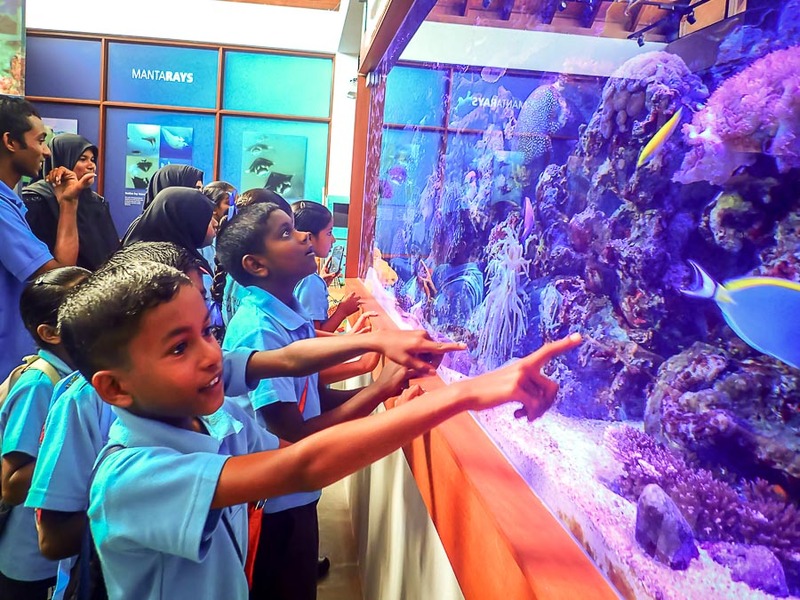 We were very pleased to welcome a special visit from Maalhos school today. 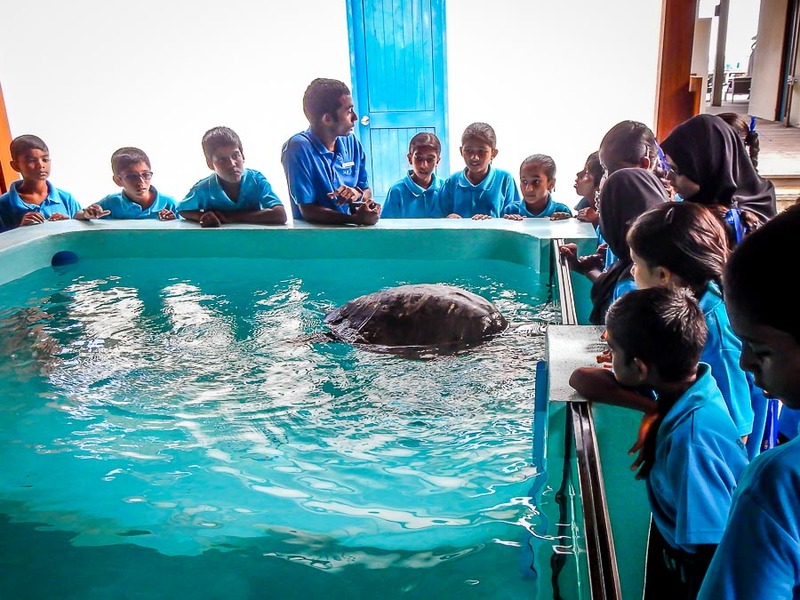 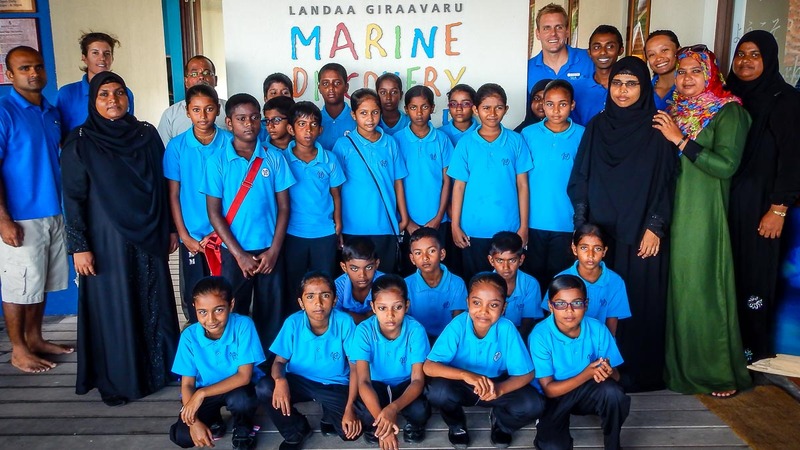 A group of students, parents and teachers visited us here at the Marine Discovery Centre in Landaa Giraavaru. 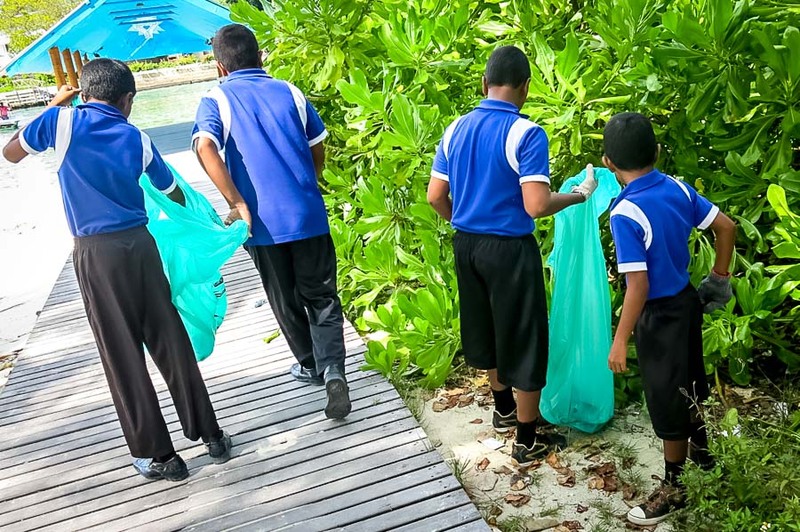 We started with an environmental awareness presentation about the Maldives. 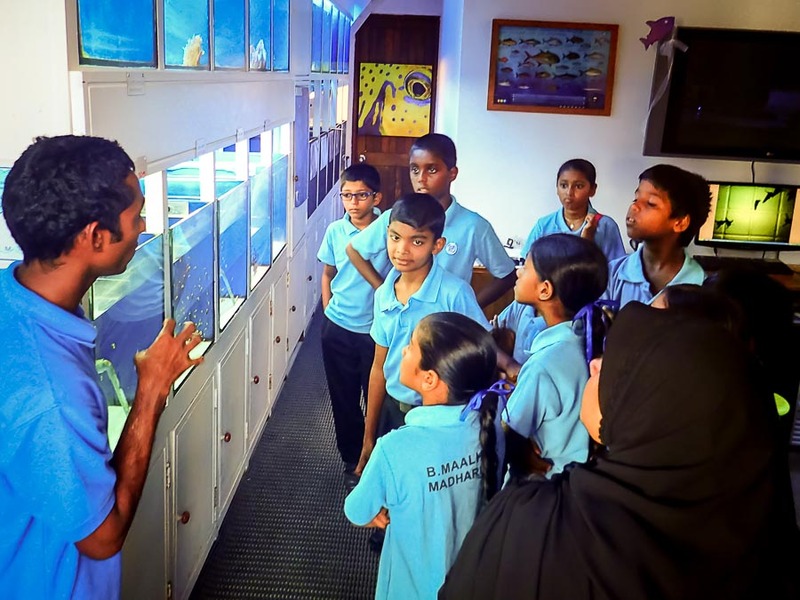 This covered the threats faced by marine life due to environmental pressures, and we went on to discuss various conservation programmes. 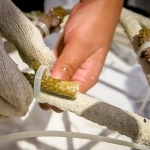 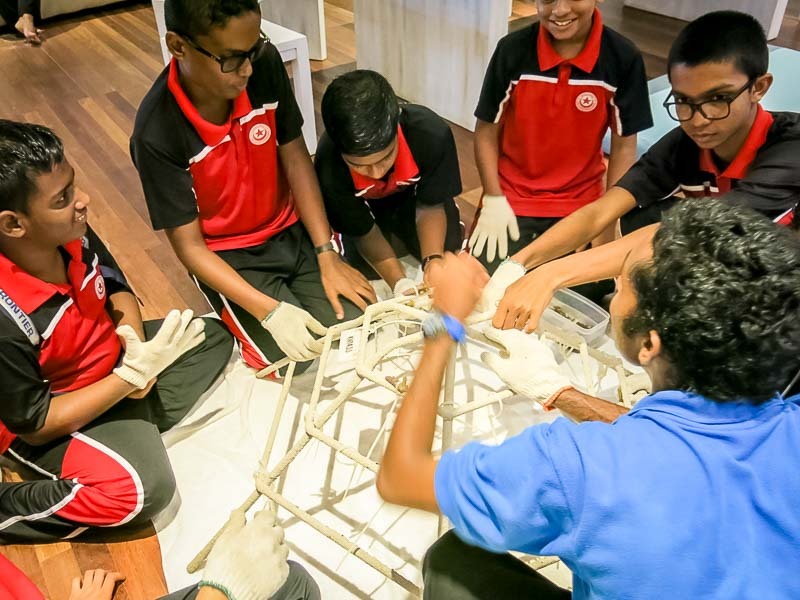 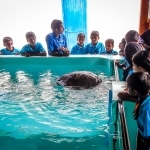 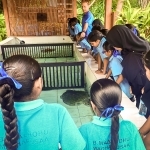 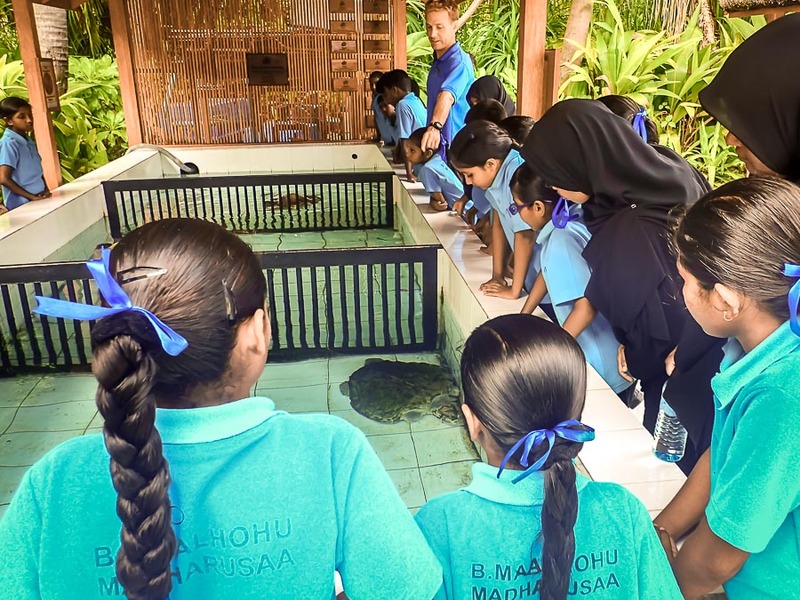 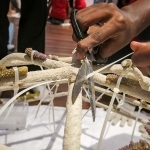 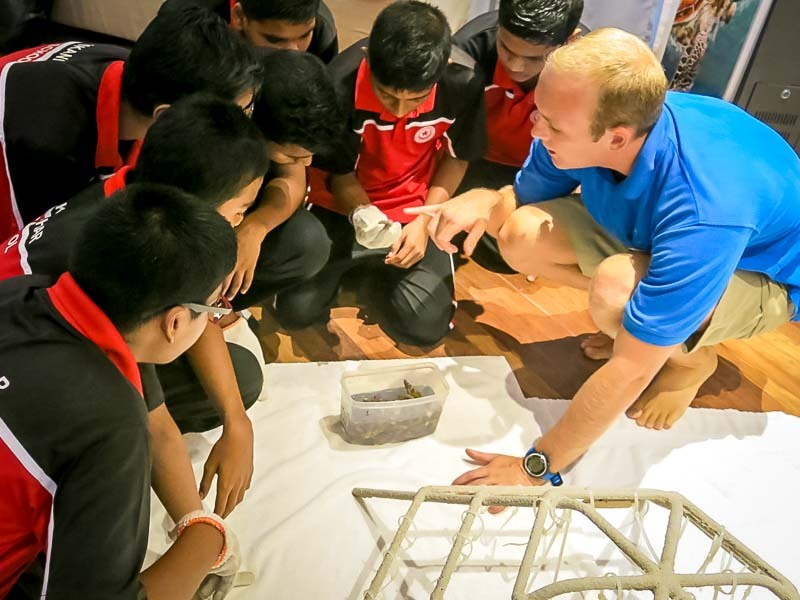 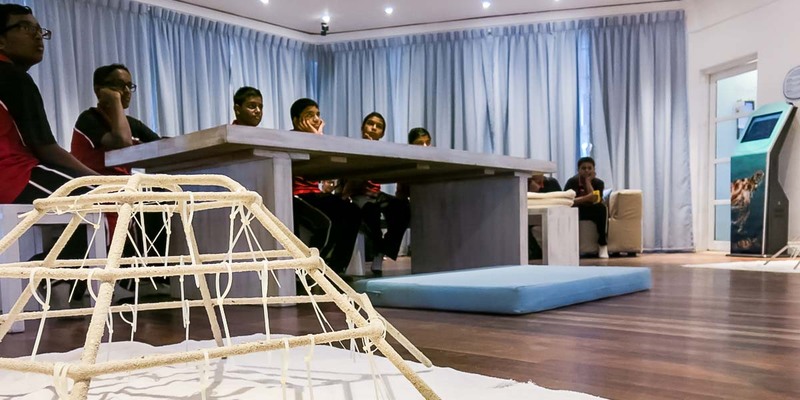 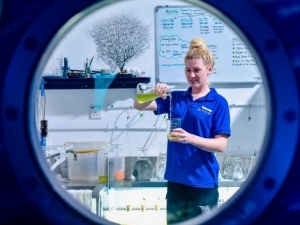 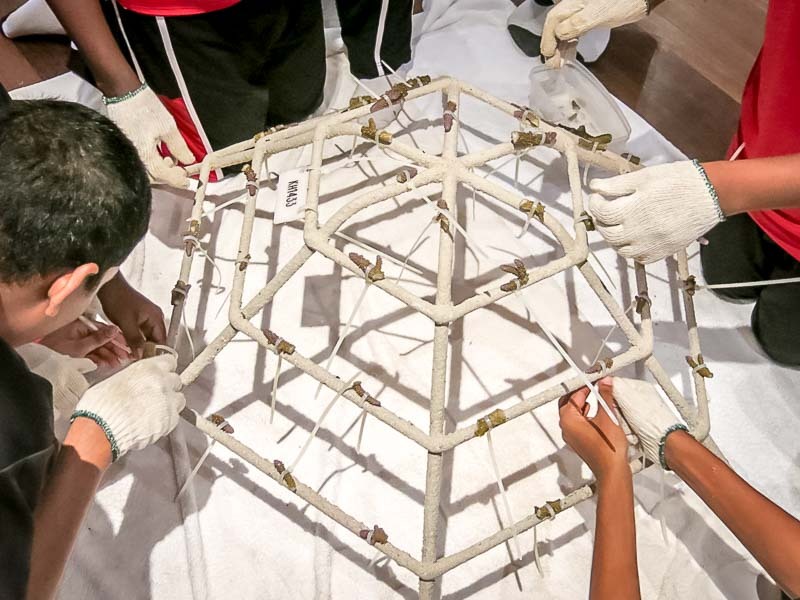 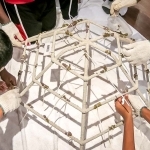 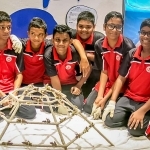 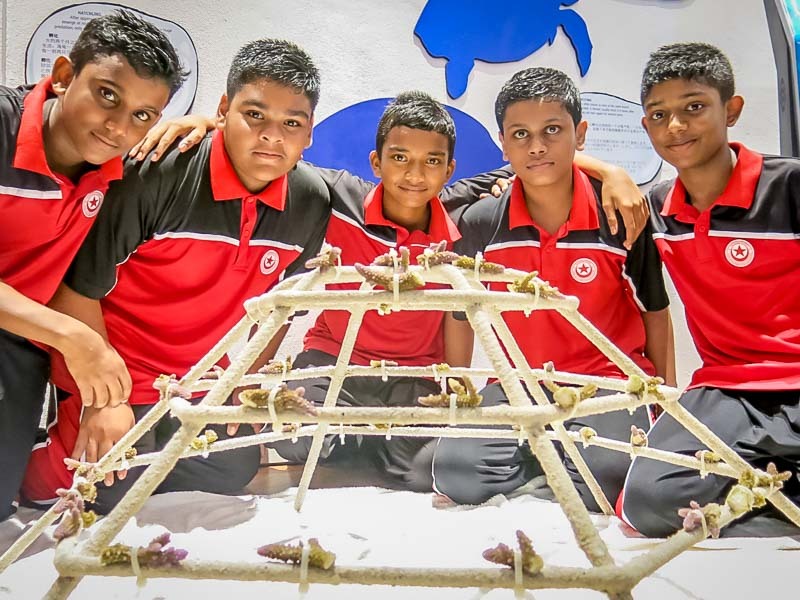 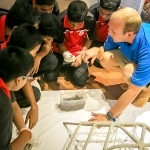 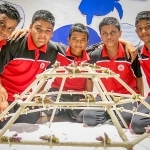 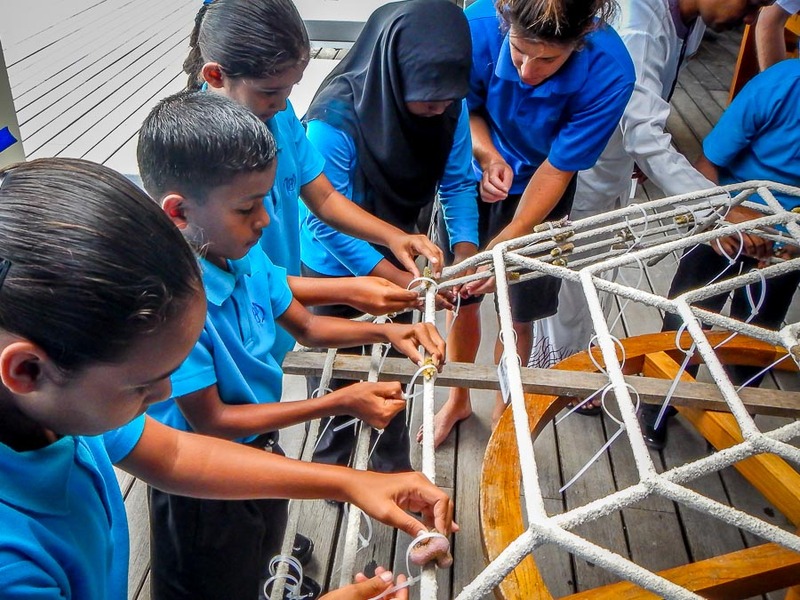 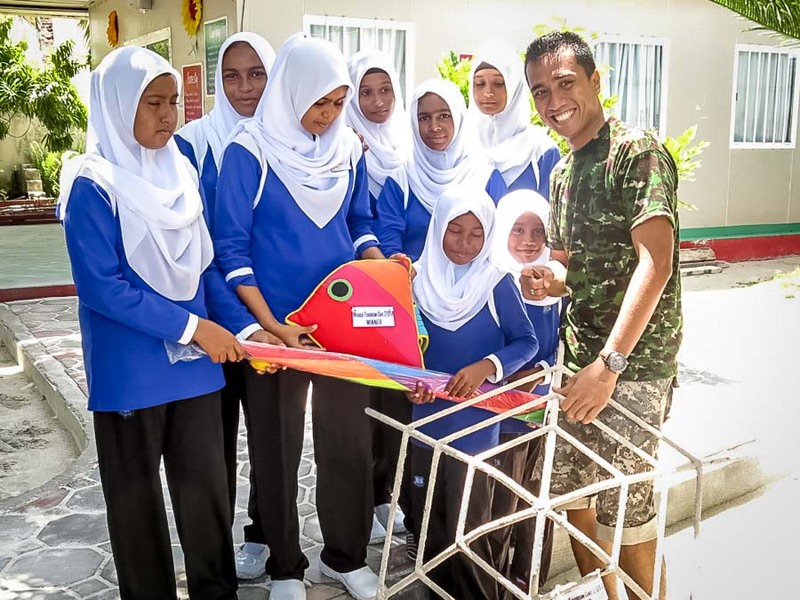 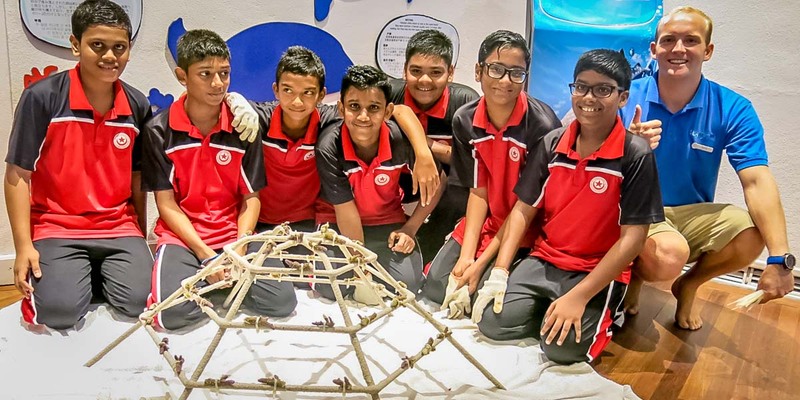 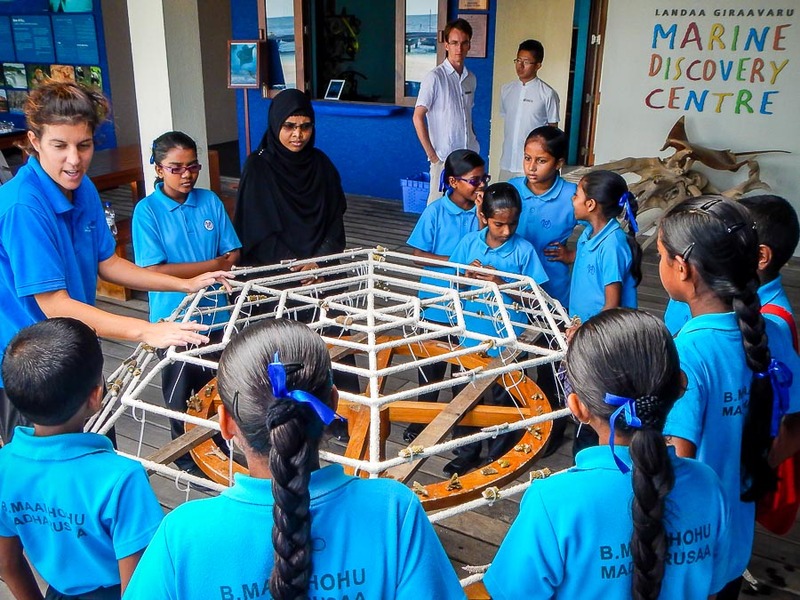 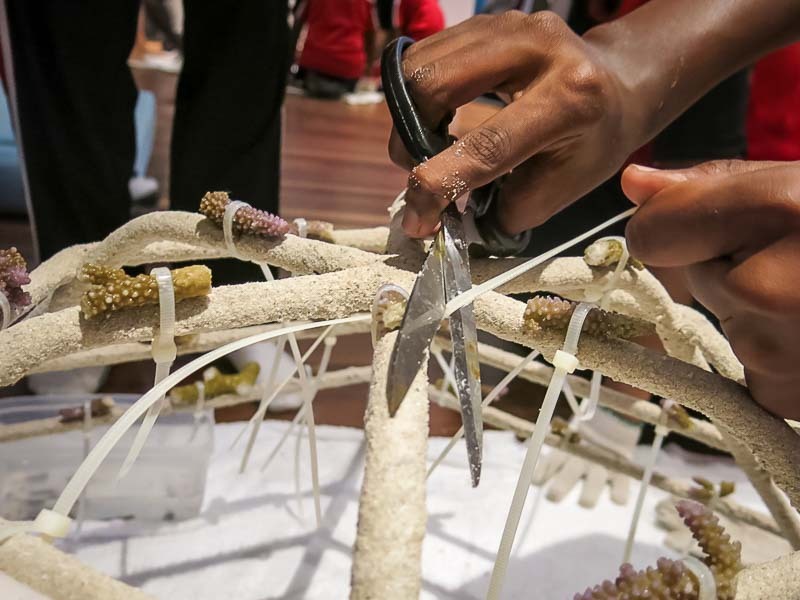 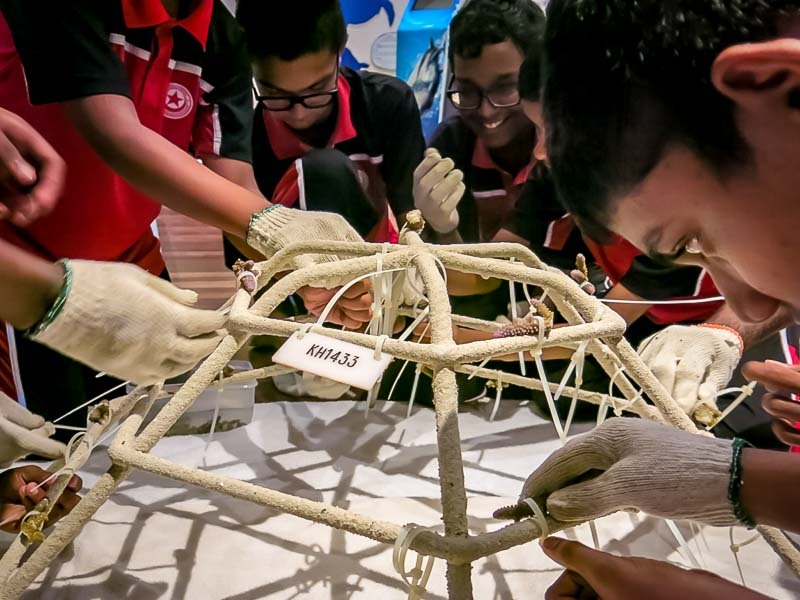 The students were then invited to build their very own coral frame, and we concluded with a tour of our facilities – the fish lab, touch pool, marine aquarium and sea turtle rehab centre. 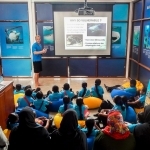 Thank you to everyone who attended, for making this such a fun and interesting day for us all at the Marine Discovery Centre.